Kathryn provides a personal approach to floral styling, with the focus on distinctive and unique designs. Whatever your style or theme Kathryn will use your inspiration to create beautiful wedding flowers to add that finishing touch. We are huge fans and have seen just how beautiful Kathryn’s displays look in the grand setting of Barley Wood. An independent award winning wedding florist with a natural style and inspired by the changing seasons, old fashion English flowers and garden herbs. Daisy Lane Floral Design bouquets fit perfectly with Barley Wood and give a fantastic vintage look and feel. The main hall was styled beautifully with the help of Daisy Lane Floral Design at an event recently held at Barley Wood. 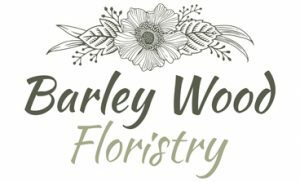 Barley Wood Floristry is based in the beautiful Barley Wood Walled Garden in Wrington, North Somerset. We offer a warm welcome to our clients and love to hear about your wedding plans. Some people have a clear idea of what their wedding flowers should be, whilst for others it’s not so clear or straight forward. We’re here to listen to your thoughts and ideas and turn them into reality, or give advice and clear direction when needed. We aim to provide an easy, relaxed and enjoyable experience for all our clients, and ensure your chosen flowers enrich the memories of your very special day. Tanya prides herself on providing excellent customer service and attention to detail, ensuring that your expectations are fully met and your wedding flowers reflects your personal taste and budget. Feel free to contact Tanya to arrange a free consultation where we will talk about your wedding day and wedding flower ideas.